Can you eat eggs every day?! Aren’t they cholesterol?! Isn’t cholesterol bad?! Why have eggs got such a bad reputation? In my opinion, eggs are one of the most versatile protein and fat rich foods we can eat, especially if you are vegetarian. I eat them almost every morning for breakfast in my quest for a (mostly) overall balanced diet to get protein in early but also because they’re delicious! + C h o l e s t e r o l - Without getting too technical…..cholesterol is an essential fatty, waxy substance MADE by our bodies that lives mainly in our cells. We could not live without it for various reasons, including the fact that it enables our bodies to make certain hormones and produce vitamin D. This is our ‘blood cholesterol’. + E g g s - also contain some cholesterol, this is ‘dietary cholesterol’. Research has shown that - if we are getting cholesterol from our diet, then our body will make less of it’s own cholesterol and if we don’t get enough from our diet then our body will make more - like a self-regulating thermostat! So in theory, eating eggs should not give you high cholesterol in itself. High cholesterol is the result of a diet too high in saturated and trans fats (think pies, sausages, McDonalds, deep fried beige food, processed cakes) but also other factors like not enough exercise, too much booze and too much smoking. So - can you eat eggs everyday? This is up to you and your individual situation but if you are a generally healthy person and lacking in your protein intake and perhaps eating sugary granola for breakfast and can’t shift that excess weight - have a look into this one! PS - don’t throw out the yolk! 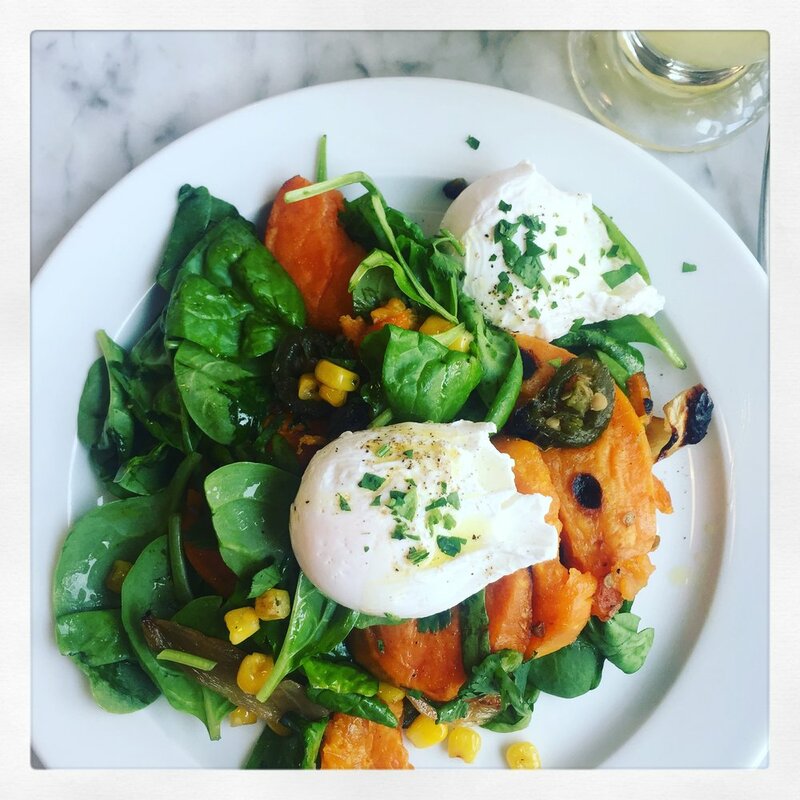 The yolk especially contains many many nutrients including omega 3 fatty acids which cannot be produced by the body and are important for many bodily functions! An average egg contains about 6g of protein and 5g of fat…are you really willing to forego that goodness for a mere 5g of fat? Mobility - how important is it?